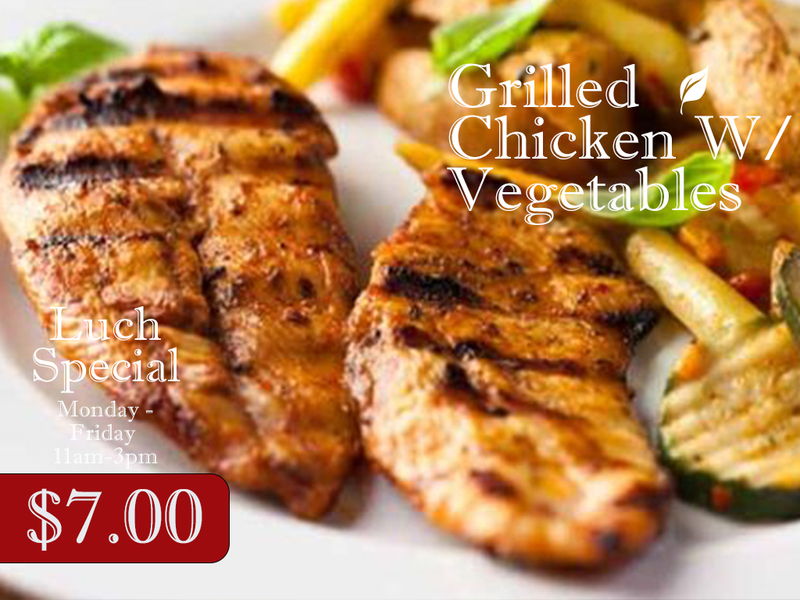 (Lunch Special: Mon – Fri / 11am – 3pm) – Grilled marinated chicken with mixed vegetables. 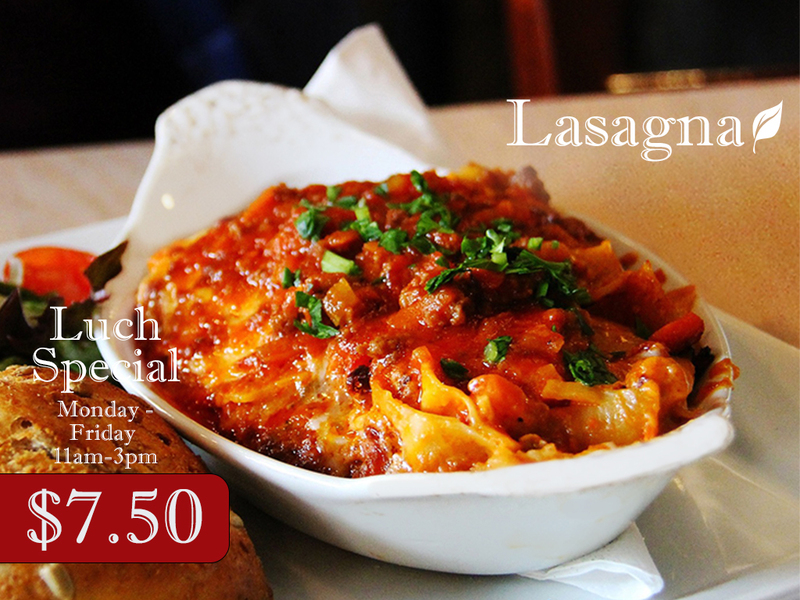 (Lunch Special: Mon – Fri / 11am – 3pm) – Homemade lasagna made with meat or marinara sauce and mozzarella cheese. 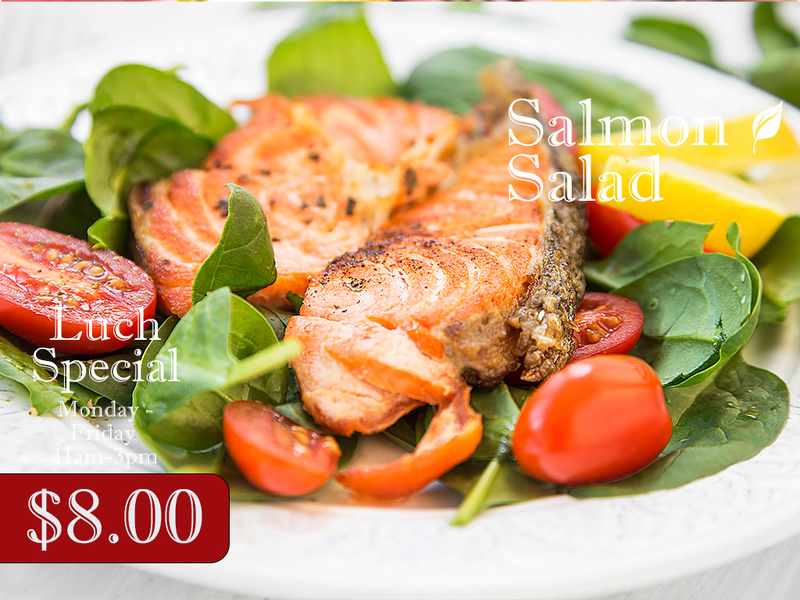 (Lunch Special: Mon – Fri / 11am – 3pm) – Grilled or blackened salmon over lettuce, tomatoes, onions, mushrooms, black olives, cheese and choice of dressing.